Katie Crutchfield is about the furthest you can get from an overnight success. Sure, the 26-year-old's latest Waxahatchee album has catapulted her to the forefront of both buzzy blogs and cultural bastions like the New Yorker, but she's hardly a rookie. Ivy Tripp is Crutchfield's most confident work to date — and although she's banked more than a decade's worth of experience playing, music as a career is a concept she's still getting used to. "We were doing it long before we ever made a cent," Crutchfield tells Exclaim! from her current home in Philadelphia, referring to the DIY punk scenes of Philly and Birmingham, AL that she and her twin sister Allison of Swearin' grew up in. "So, that's the cool thing about being a professional — and I use air quotes when I say that — musician now; it doesn't feel like a job, because it's something I've been doing for a really long time and not making money." Coming up in a tight-knit, musically incestuous circle of collaborators saw Crutchfield play in bands like the Ackleys and P.S. Eliot, influencing and taking inspiration from fellow musicians like Keith Spencer and Kyle Gilbride of Swearin,' who ended up playing on and engineering Ivy Tripp, respectively. "It's very natural," says Crutchfield with a laugh. "It's like we were all on a bowling team or something." 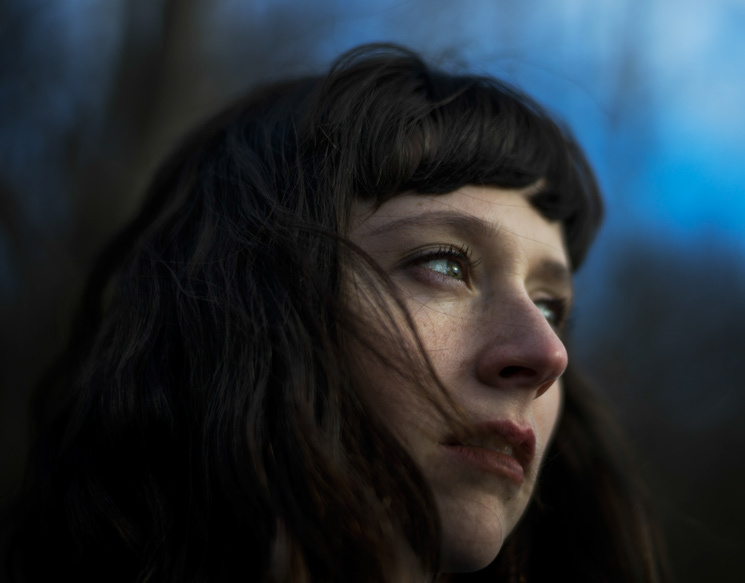 The lovably ramshackle American Weekend marked her debut solo release as Waxahatchee in 2012 — the lo-fi, home-recorded project has since garnered a cult-like affection for 2013's sophomore effort Cerulean Salt, and now, the slightly more polished, but not quite poppy, third LP Ivy Tripp. The latest effort plays with tuneful melodies and catchy keyboard runs, but retains Crutchfield's trademark offbeat lyrical delivery — now crystalline and no longer hidden behind layers of distortion. A lot has changed in the last couple years. "I play music a lot more than I did before Cerulean Salt," says Crutchfield. "When I made American Weekend I had a day job and I was busy and I made music more so in my spare time when I could." The constant touring that followed her second record was gruelling, but not an experience she'd trade for a different job. "I want to be doing music, and I've pretty much been doing music forever, " she says. "It takes a lot out of you, and it's an intense way to live your life." "All I wanted to do was, like, sleep and cook and just hang out," she recalls. "I just needed a lot of rest and time to zone out and turn my brain off a little bit." And it was during an eight-month break following her last rounds on the road that the pieces for Ivy Tripp began to fall into place. After a period of much needed rest and writing, Crutchfield and Spencer moved into a house on Long Island to make the new record. "We were really over-extended and just wanted to go somewhere where we could work on music, and relax for a while, and then pick back up and work," Crutchfield explains. Holbrook, Long Island seems to have provided the perfect locale, resulting in a record that sounds both sparse and gritty, and — as it's always been with Crutchfield's work — filled with dense, ultra-personal and poignant lyrics. Just don't call it a pop record. "That's cool, but it's not how I would describe it," she says of the increasingly frequently used p-word. "I think it's just like a step further for Waxahatchee; it's the next step. I want to make all kinds of different records. I listen to all kinds of different music and I am influenced by all kinds of different things, so I just want to slowly make a lot of different kinds of records."